India – The White Elephant, The land of the largest number of Separatist Movements in The World. Have you ever questioned why India is spoken positively in Western Media in this last decade. This last decade where the world was once more bi-polar, the Western world looked to the loyal Hindus and extended a hand of friendship very similar to the East India Company. Beyond the marketing, glam of silos of investments in Delhi & Mumbai the nation is not held together and nor is it stable. With the worlds most poorest and systematic segregation of communities, ethnicities and religions it is far from the secular and democratic utopia it declares itself to be. This is a very schizophrenic nation where the power is held in silos within a selected historic Brahmin & upper caste Hindu strong holds. Violence against minorities and what these Hindus term the minority commuities continues even today, against Dalits, Muslims, Christians & Sikhs. This is a nation of many but ruled by a few holding the vast majority captive and at gun point. India has much to do if it wishes for progression and equality. There is a little known fact, an unwrit law that if your Dalit or Muslim you will find it 10 times harder to find employment or place to live including rent, it is 10 times harder for Muslim and Dalit children to secure a place in a reputable university. This is a nation that promotes itself as being modern, progressive but is still very much holding onto it’s colonial past and plagued with traditions and cultures stemming from a prehistoric faith that treats fellow humans as bi-products. An extremely zealot, religious nation where the upper class Hindus see himself closest to God and others as insects that they would see crushed. Soon after India’s independence it was a given assumption that India, because of its diversities, will not survive as a single state, but will break up into separate states. In the brutal manne rin which Independent India crushed many separtist movements for legitimate nations seeking to reclaim their nations from The British. 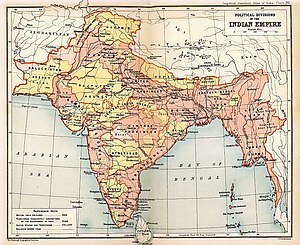 Since India’s independence in 1947 there were many attempts by different communities in India to establish independent countries and this continues to this day. These calls for indpendence are legitimate born out of Indian opression and occupation but subsequent neglect of some once very resource rich and hihgly skilled nations that had fell to the British Raj. In Kashmir, in north India, there were organizations and underground organizations which demanded first to attach Kashmir to Pakistan and later on started demanding an independent Kashmir state. In Punjab, to the south of Kashmir, the Sikhs demanded an independent Sikh country to be called Khalistan. In north- east India as in Kashmir to this day there are demands for separate states by different groups. North -east India was, during British period, province of Assam. In this region which borders China, there are many communities which are referred to under Indian law as tribes. These tribal people have Chinese appearance and speak in languages from the Sino-Tibetian family. Since India’s independence, many tribal communities in this region, in the beginning with Chinese support, tried to establish independent states apart from India and witnesed very recent just how volatile this reason is. In the 1960s rebellions from Mizoram region even declared independence. The Indian army brutally suppressed these rebellions with great attrocities. The north east of modern India and South East continue to strive for independence and continue to wage a organised freedom struggle. In south India, before India’s independence there was a demand for an independent Dravidstan for the whole of south India. After India independence, this demand was mild down for autonomous Dravidian states within the Indian union. But the Tamilians who emigrated from Tamil Nadu to Sri Lanka demand an independent state in north Sri Lanka and it is presumed they receive lot of support from Indian Tamilians. India always quick to point the finger at others often forget that it is a damning insult to secular and democratic ideals. Many Westerners are oblivious to the poverty and displacement of wealth / investment in India. 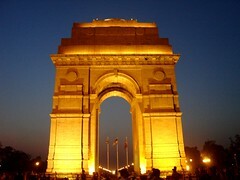 India is a white elephant – a facade and continues to be very unstable. With an alignment with USA to contain or harm Chinese interests in Asia pacific and to destabilise Pakistan through Afghanistan. India also gets lost in the glam and marketing in its new found accolades emanating from the West and does not realise just how a volatile game she plays. India is not a stable nation, far from it be this socially or economically and its communal differences can very easily be its downfall. A rise in Hindu terror groups tareting Muslims, Sikhs & Christians as seen in Gujerat, Punjab and Orissa can stoke the fire that can engulf the nation. Unable to resolve its issues internally it uses the Hindu right wing organisations to crush dissent from within not realising this self flagellation can cost her daily. Unable to provide for its many homeless and poor and lost in the marekting of shining India and is knowingly being pushed to support an American agenda in Central Asia but also Asia Pacific that will have long term repercussions on its very fragile and volatile federation.